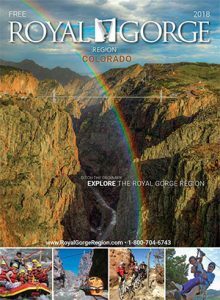 The Royal Gorge Regional Museum and History Center offers exhibits and research materials that portray and interpret the history of the region and its people. Located in the 1928 former municipal building, the museum was initially designed to include exhibits of artifacts related to community leader, businessman, and amateur paleontologist and archaeologist William Dallas DeWeese. The Western artist Robert Wesley Amick, a native of Cañon City, painted the mural for the buffalo diorama. 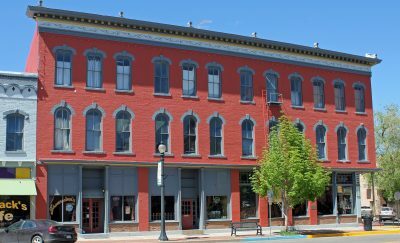 Be sure to see the From the Reel to the Silver Screen exhibit about the history of the film industry in Fremont County, while the History Center’s Reading Room is ready to help you discover family histories. The Fossils of Fremont County exhibit features local dinosaur and prehistoric marine fossil discoveries dating to 450 million years ago and casts of dinosaur skulls. 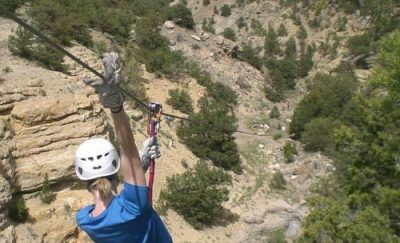 Also located on the site are an 1860 log cabin and 1881 stone house built by Anson Rudd, one of the first settlers and a founding father of Cañon City. For more information, visit www.RGMHC.org.